"Julia Kristeva's innovative explorations of questions on the intersection of language, culture and literature have inspired research across the humanities and the social sciences throughout the world and have also had a significant impact on feminist theory. In her path breaking book La Révolution du langage poétique (1974; Revolution in Poetic Language, 1985) Julia Kristeva first advanced the theory that the process of signification in language is constituted by two different but interacting elements, the symbolic and the semiotic, thus bringing the living body back into language. Her trilogy Pouvoirs de l'horreur (1980; Powers of Horror, 1982), Histoires d'amour (1983; Tales of Love, 1987), and Soleil noir (1987; Black Sun, 1989) offers original and powerful theories of abjection, love and depression. In Étrangersà nous-mêmes (1988; Strangers to Ourselves, 1991) her psychoanalytic approach provides crucial insights into the problems of migration, exile and otherness. Julia Kristeva has published more than 20 books and continues to be remarkably productive. Recently she has been particularly interested in the lives of women writers and intellectuals." In her Holberg Lecture "Thinking about liberty in dark times", Julia Kristeva offers us for discussion a rich array of themes and these themes reflect the innovative and cross-disciplinary nature of the extraordinary body of research she has produced over the last four decades. 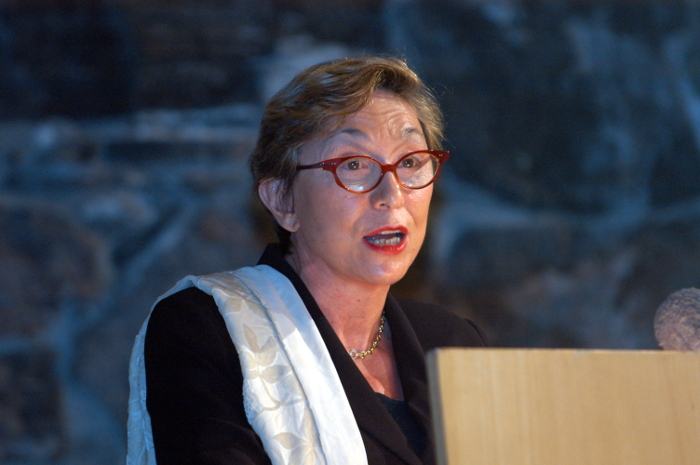 Julia Kristeva is currently director of the Sciences des textes et documents Department at the University of Paris 7 (Jussieu), and is also a practising psychoanalyst. Holberg Lecture 2004: "Thinking about liberty in dark times"